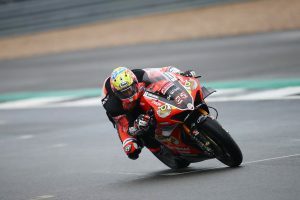 Australia's Miller records fourth fastest time on Friday. 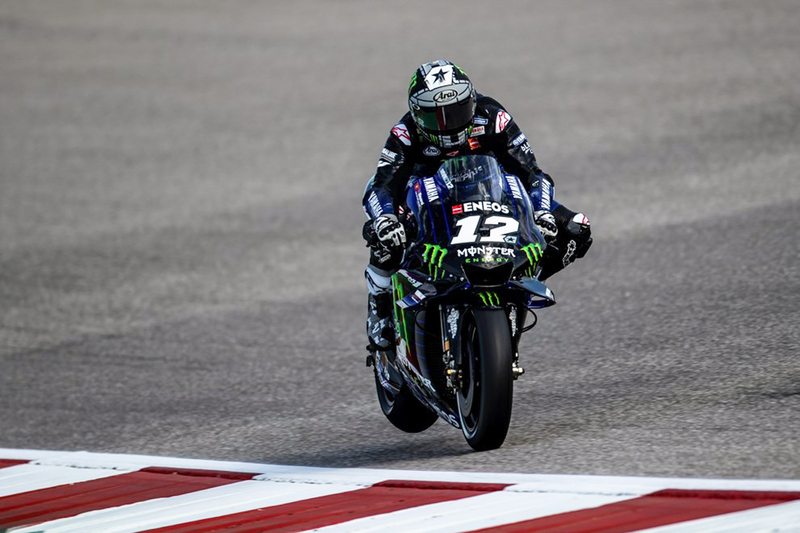 Maverick Vinales (Monster Energy Yamaha MotoGP) has set the pace in practice at Circuit of the Americas’ third stop on the 2019 MotoGP World Championship calendar. Upsetting the odds, Vinales denied reigning champion and six-time victor at the venue Marc Marquez (Repsol Honda) for the top spot, the number 93 ultimately settling for second. 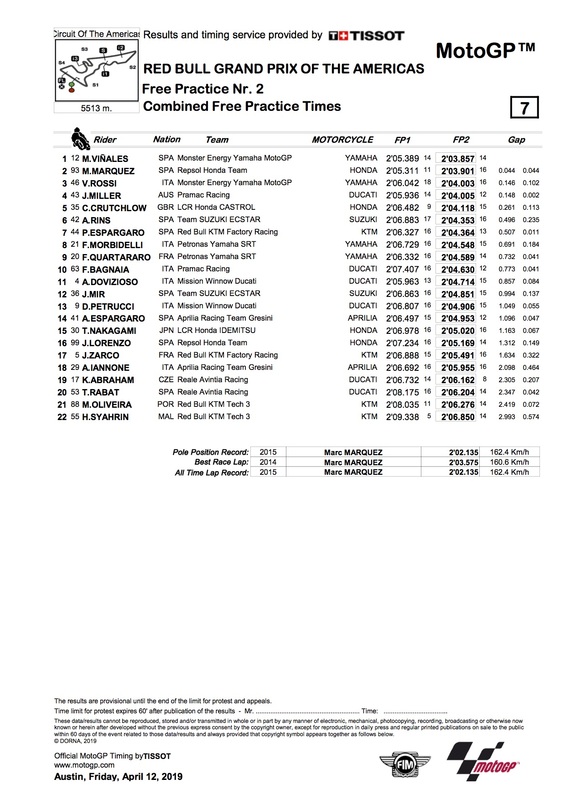 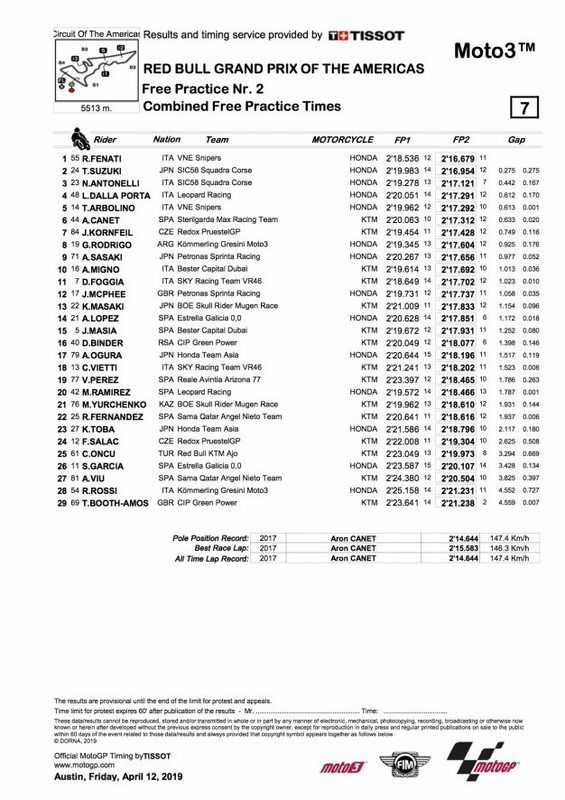 P3 was credited to Valentino Rossi (Monster Energy Yamaha MotoGP) ahead of Australia’s Jack Miller (Pramac Racing) in fourth, while Cal Crutchlow (LCR Honda Castrol) completed the top five. 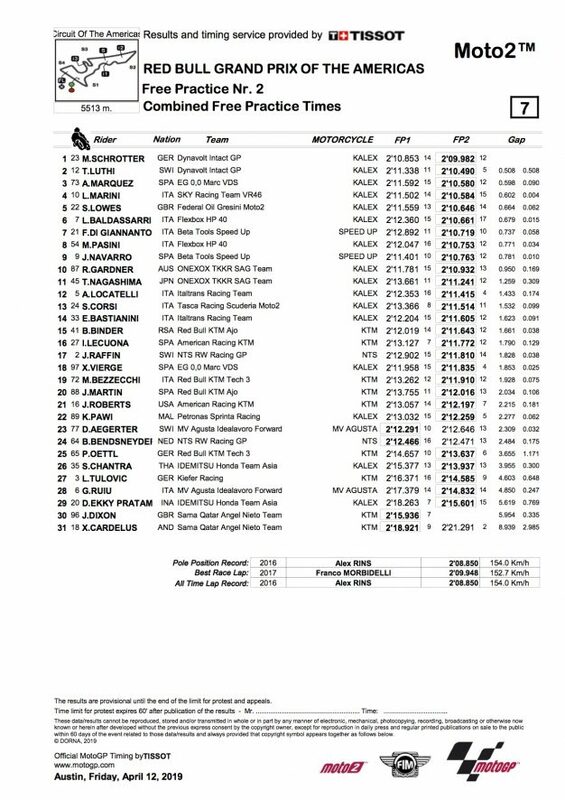 In Moto2, Marcel Schrotter (Dynavolt Intact GP) topped the category ahead of teammate Tom Luthi and Alex Marquez (EG 0,0 Marc VDS), as Australian contender Remy Gardner (SAG Racing Team) was 10th fastest, fresh from claiming a maiden podium two weeks ago. The Moto3 class saw VNE Snipers’ Romano Fenati emerge fastest ahead of SIC58 Squadra Corse duo Tatsuki Suzuki and Niccolo Antonelli, who closed his advantage down to 0.275s at the last minute to end the day in second and third respectively.